will be joining Thirst 2013 ! Watch & feel the experiences unroll as Heineken Thirst featuring two massive stages – Green Stage and Star Arena – of uncompromising and unconventional music experiences, the line up includes a thrilling mix of established names and emerging left field electronic artists from both the international and local music scenes. From David Guetta to Afrojack, Madeon to Example, W&W to R3HAB and Nervo, Heineken Thirst is constantly pushing boundaries and adding new musical layers to Malaysia’s leading electronic dance music festival. EDM, electro, Dutch House, nu-disco, grime and more come together for an unforgettable night of music and personal experiences. This year, Heineken Thirst turns the spotlight back onto the thousands of Heineken consumers who provide the energy and emotion that truly powers the festival. We have a series of highlights lined up, ranging from crowd activated engagements to intimate experiences designed to completely transform the night of a few lucky people. Lighting up the Green Stage, Heineken Thirst headliner, Parisian socialite David Guetta needs little introduction. 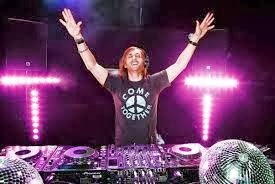 The world’s most sought after DJ and the man who brought the worlds of EDM, pop and R&B together, Guetta will demonstrate why he’s the world’s most sought after DJ and producer seamlessly jumping from mainstream pop accessibility to floor pumping bass-filled tunes. Joining him at Heineken Thirst’s Green Stage is Holland’s Afrojack. The Dutch super-producer is currently riding on the crossover kick of this year’s singles, ‘As Your Friend’ (with Chris Brown) and ‘The Spark’. 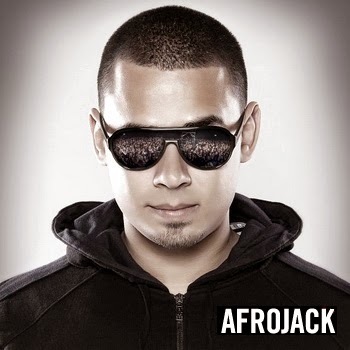 One of the leaders of the Dutch House scene, Afrojack has the enviable task of building the crowd to fever pitch for David Guetta. Also up at the Green Stage is a group of fast emerging electronica stars. Award-winning former songwriters for hire, Australia’s Nervo add a shot of high fashion glamour to Heineken Thirst. As one of the hippest acts on the EDM circuit, the last two years have seen them playing shows everywhere from Tomorrowland to MTV’s VMA. 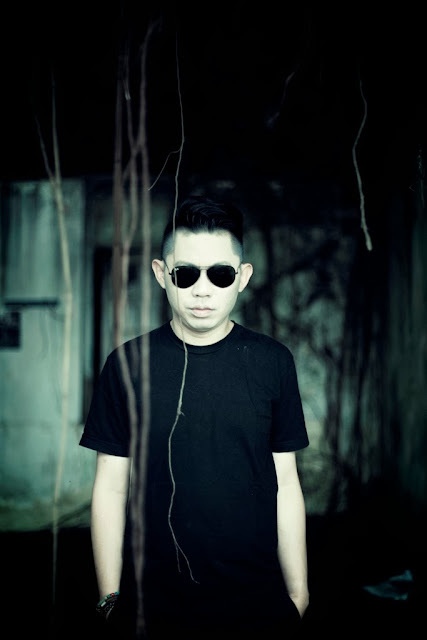 Closer to home, Heineken Thirst regulars Goldfish and Blink will demonstrate why they’re Malaysia’s first EDM superstars. Having recently inked a deal with Hardwell’s Revealed Recordings they’ve recently become regular features on the playlists of artists like Tiesto, Guetta, Nicky Romero and W&W. And it’s a Heineken Thirst debut for Brains and The Eye (B.A.T.E. 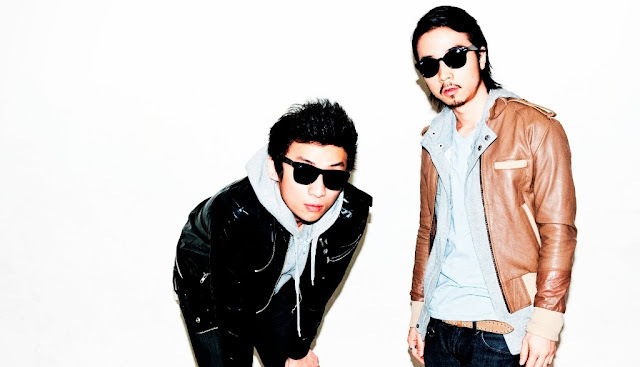 ), the hotly tipped duo who topped JUICE magazine’s Best New DJs of 2012 poll. If Heineken Thirst’s Green Stage is the main event, the Star Arena is where you go to see the superstars of tomorrow as well as to experience some of the more eclectic tangents and talents that dance music produces. Headlining the Star Arena is W&W, the Dutch duo that is a confirmed favourite with Malaysia’s outdoor music fans. 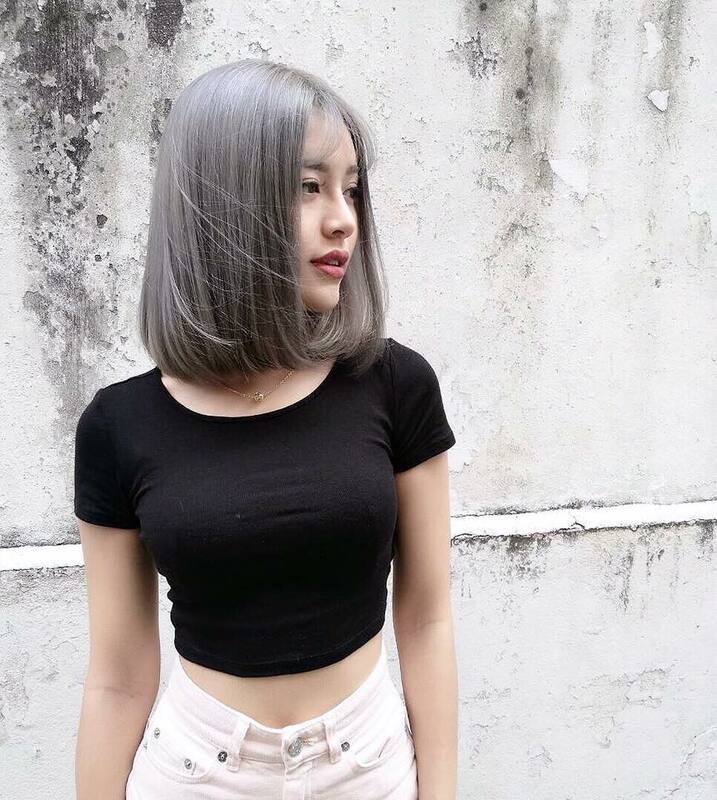 Mixing trance and EDM in equal measures, this dynamic pair is highly ranked by artists like Armin Van Buuren, Tiesto and Sander Van Doorn, as much for the crowd-pleasing potential of their tracks as for their own inspiring live sets. Yet another Dutch artist on this impressive Heineken Thirst line up, Holland’s R3HAB has been identified as the next step in the evolution of the Dutch House genre pioneered by Heineken Thirst artists like Afrojack and Chuckie. He’s joined by UK EDM legend Example in a typically leftfield addition to Heineken Thirst’s Star Arena. One of the pioneers of the UK dance scene. HOW ABOUT YOU RAVERS ? 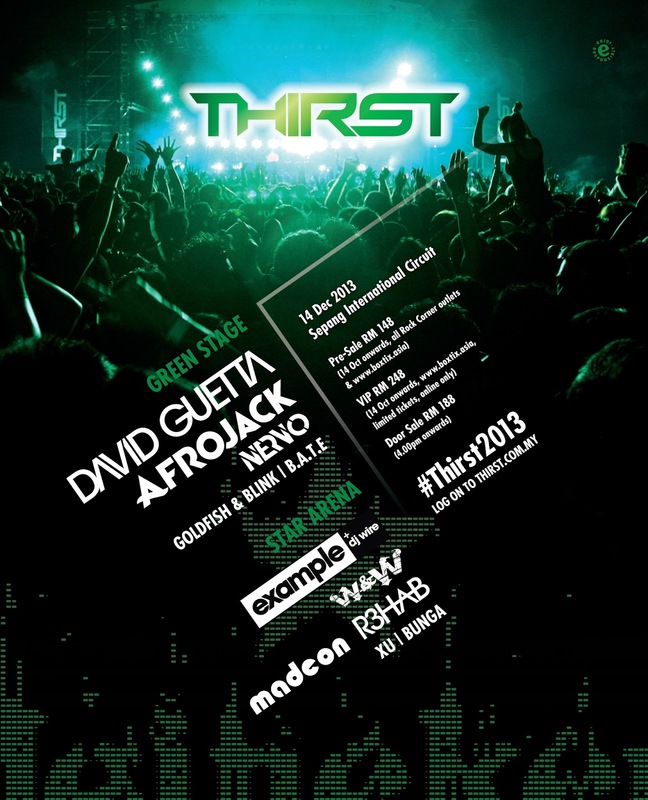 Are you joining me for THIRST 2013 ?